Life is full of myths and if you don’t watch it, they will get you! Take diets and healthy living for example. I learned the hard way but let me tell you, you quit eating right, you quit exercising, you pay for it. You develop lazy habits, lousy eating patterns and you gain “baggage” where it isn’t supposed to be. All of a sudden you don’t feel as good as you used to, you don’t look as good and you have to start wearing baggy clothing to hide the baggage. So it is with a relationship with God. I found out the hard way in both these areas. Well in the spirit of the new year and the age old resolutions, I vowed to get back in shape in both areas. I had researched (of course I had) the best way to get back to where I needed to be health wise, which translates into the easiest. All I got was confused. I read that to lose weight you had to cut out whole food groups, or cut out just fat, or cut out carbohydrates, or you could exercise and eat what- ever you wanted. Well put them all together and its simple, you can’t eat anything. So instead I went out and bought the latest on the diet subject, all the latest, greatest, easy fix diet books, I got the video that promised if I gave them 2.2 minutes a day my body would look like a movie stars, I bought wonderful new, state of the art exercise clothes, exercise monitor and tennis shoes. WooHoo, I was set to get fit. Guess what, none of that worked as long as I was still sitting in my recliner. It takes perseverance, willpower, and motivation to get healthy, mostly it takes getting out of the recliner. It is a lot like that in my relationship with God. Yes His arms are always open, and He will welcome you at any time. He will soften hearts to hear the message He brings and He will provide plenty of opportunities to build a meaningful and fulfilling relationship with Him. It takes the same perseverance, willpower and motivation; sometimes it even takes getting a little (or a lot) uncomfortable if we want all that God has to offer us. God, diets, exercise, quitting bad habits, if it is good for you it certainly could hurt a little bit…………….for a time. It won’t last forever and God is Captain of this ship, He will bring you into port in His time. So get out of your recliner and start building the life you want, the life you deserve and the life God wants to give you. This is scary stuff. How do you win a war if you can’t see the enemy or if you didn’t even realize that war had been declared? Make no mistake, if you are a Christian you automatically gain an enemy, we have all heard about Satan and probably even spiritual warfare. I guess what I didn’t realize is the insidious nature of the battle this invisible and evil foe wages. You can’t see Satan, it isn’t an earthly battle. So if we can’t see this invisible and evil entity that is trying to destroy our life how can we battle back? We can’t reason with or placate this enemy, you can’t reason with an invisible enemy but you… can be sure that he is on the attack. But how do you know this is really spiritual warfare? In Ephesians 6:12, Paul writes: “For our struggle is not against flesh and blood, but against the rulers, against the authorities, against the powers of this dark world and against the spiritual forces of evil in the heavenly realms. Being a Christian comes with a built in enemy, he is already defeated but he is going to try to bring down as many as he can before his time is up. Satan can screw up our lives in a big way if we don’t see the situation for what it is. Remember, your fight is not against the person who just hurt you or lied to you, your fight is against Satan. Yes, it is tough at times to stand in the middle when your world is crashing around you, when nothing makes sense or nothing you do seems to help, that is absolutely a tough place to be. It would be easier to walk away, live where there is no hurt, chaos, angry words, lies and deceit, but Satan is going to go where you go if he isn’t dealt with. Oh Satan will lie to you and try to make you believe all sorts of things, DON”T LISTEN. Once again, your enemy is not the earthly one hurting you, this is a spiritual battle that cannot be won by earthy means. John 8:44 tells us that Satan is a liar, there is no truth in him, in fact he is the father of all lies. He will tell you that God does not hold the power to fix this, that there is no hope, that the hurt is too deep and is not able to be healed. I took the following prayer list from a book on spiritual warfare because it is excellent advice. Then look within, search what God wants you to change in your heart, change begins in you. You make the changes you need to make in yourself. Then start praying for God to work, be specific, consistent and seek the truth. We aren’t guaranteed the road will be easy, we aren’t guaranteed the trip will be short and without pain. We are however guaranteed that Satan is already defeated and we are in the winner’s circle of life. The age old question, Which is more important, the destination or the journey? You would think I would be getting used to this supernatural stuff that seems to happen when you are working on a relationship with God. However, it still amazes me how God puts exactly the right things in your path at exactly the right time. Thanks to the tenacity of Ray Mapel and his daily postings (that I count on), today was just such a day. God threw this little gem of a quote my way. I can equate this with riding my motorcycle. There are many, many times I have taken motorcycle trips to destinations that were long anticipated and we were very excited to arrive. There were just as many times that before we arrived at the destination that we sat on corners with all available maps and GPS’s on deck and the guys were shrugging their shoulders saying, well I don’t know how we missed it (meaning the right turn, the right highway, the right town or even the right state. Which is more important, the journey or the destination? It can be a catch 22 sort of situation. We cannot let ourselves get so focused on the destination that we forget the journey, not only forget the journey but forget the fact that God sent us on that journey and He knows full well the detours and potholes we will encounter. Even though we might not be aware of it, He also knows the lessons the journey will teach us. The destination should not be the final state of being either, don’t misjudge the destination, it is probably wise to remember that the destination we have in mind may not be the same destination God has in mind for us. Also good to remember that all the whining, stomping of feet or pouting probably won’t change the outcome. Maybe the only destination should be to find complete and total freedom and truth in our Father God. Sometimes the journey can feel like a bit of a secret mission, because if we are not dodging potholes, changing flat tires or waiting on the side of the road with a gas can, we are encountering storms in epic proportions. You get soggy, cold, frustrated, downright depressed, and your enthusiasm is running mighty thin. You are sitting in the storm thinking the sun is never going to be stronger than the clouds. 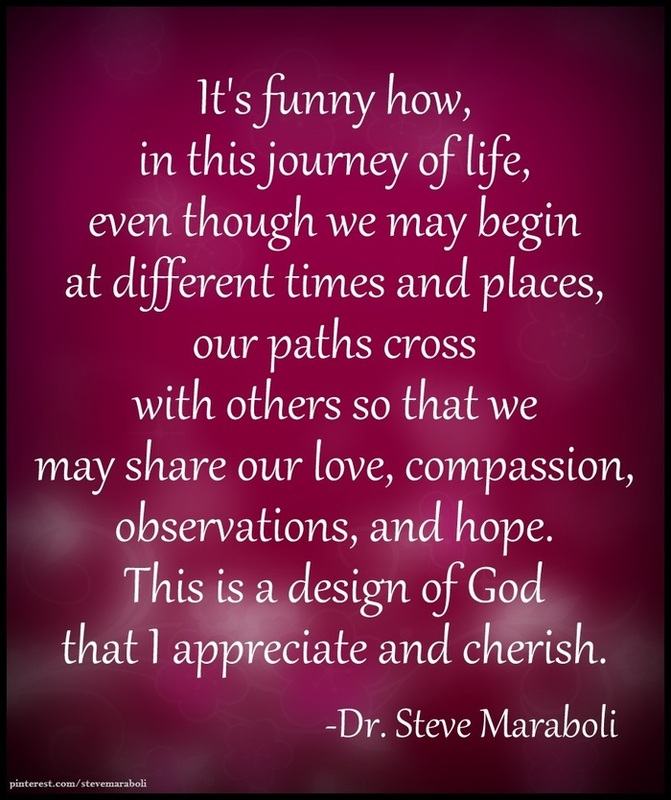 However, God in His infinite wisdom knows that the only journey that counts is the journey within. God knows, but we have yet to figure out, that destinations are indeed important, because they create the possibility (or need) for the journey. The storms we walk through simply make us much more appreciative of the sunshine we will inevitable reach. We enjoyed a candlelight service at church last night and it was meaningful and beautiful. Silent Night by candlelight has the ability to bring me to tears. The fact that this holiday is celebrated because our Savior was born has the ability to humble me like nothing else. For me, the season is about the fact that a baby was born to save a sinner like me. However there is another aspect to Christmas that has long been written about, the other side of Christmas, the side that people love to ridicule yet they continue to engage in with gusto. It is the bright, glittery, and joyful Christmas. YIKES, if you celebrate that way you must have lost sight of the real meaning of Christmas somewhere. I do celebrate that way. I love to bake my loved ones mountains of really rich, decadent, not good for them goodies. In fact I love to make more food for my boys than is humanly possible to consume, but that is part of the celebration. I love to shop for hours on end for just the right gift and then bring it home, wrap it with glittery, bright paper and top it with even more glitter and totally unnecessary(but fun) bows and ribbons. I love my Christmas tree and the decorations that bring back memories of the times past. I love to drive around and look at Christmas lights, cheesy or not. It all signifies Christmas for me. I am a Christian, I love my Father God and I celebrate the birth of my Savior in a bright, glittery, joyful way. I love to see the Christmas spirit all around me, those viewpoints do not have to be mutually exclusive, they can co-exist quite nicely together. I do not forget the fact that “Jesus is the reason for the season”, this is my way of spreading the joy and making the celebration of the ultimate Gift of Life” uniquely mine. We each have the opportunity to take the holiday and personalize it, make it special and make it meaningful. As long as we are praising God and glorifying Him (who provided the gift) , it is a good thing. Last night (Christmas Eve) we broke tradition and started a new one. We attended the candlelight service at our church as I stated earlier, with good friends and then went to their house for a delicious meal and fellowship with wonderful friends, some old friends, some new. Thank you my friends for including us! The house literally glowed with the love of our Savior AND the joy of Christmas. I have forgotten the literal joy of a child opening gifts, it was a great joy to witness and participate in. There is nothing like celebrating the true meaning of Christmas with others that feel the same way. Christ is the reason I celebrate but Christmas is also a time to support diversity, foster goodwill where we walk, make new traditions while maintaining our family traditions. Christmas is love. I know that it is popular to say that if God brings us to it He will bring us through it, that God will use bad situations for our good and He doesn’t give us more than we can handle. But what about the times you find yourself in a situation that no matter how deep you dig you cannot see the good, you can’t see the light at the end of the tunnel and you feel your strength slipping away under the load? What do we do then? 6 So be truly glad. [a] There is wonderful joy ahead, even though you have to endure many trials for a little while. 7 These trials will show that your faith is genuine. It is being tested as fire tests and purifies gold—though your faith is far more precious than mere gold. So when your faith remains strong through many trials, it will bring you much praise and glory and honor on the day when Jesus Christ is revealed to the whole world. I will go forth with my eyes on Jesus and Jesus only and I will pray. Father, deliver me from the power of darkness and show me how to shield myself with the armor of your strength. Help me to walk with you daily and to turn my eyes away from those things that are a hindrance to my walk with you. Deliver me Father from the unhealthy holds that are present in my life, help me to see you as the most important thing in my life. Help me to seek your holy ground. Create in me a hunger and a thirst for you that is unquenchable; fill me with your knowledge and wisdom. Show me the way I should go and help me to be a doer of your word and not just a hearer of your word. Create a space in my heart for you and give me an escape for every temptation. Bring me to the calling you have pre-destined me for Father. Take my heart and heal it, heal my pain and give me vision to see the situation clearly. Show me how to pray, show me how to love, please Lord, just show me how to survive difficult times. Give me the strength to hand over to you my problems and to leave them in your hands. Heal the hurt within me. Create in me the need to seek you first, nourish my mind and my soul for an intimate relationship with you first. Help me Father to quit worrying about those things which I have handed over to you. Help me to forget those things that make me crazy, that hinder my walk with you and help me to let you do your job. I want to walk with you not only daily, but hourly and even minute by minute. I want to share everything with you, the good, the bad and everything in between. Help me to recognize the lies Satan loves to feed me and help me to hear your voice strong and clear in those times. God I know that you can do exceedingly and abundantly above all I can think, imagine or ask. I know and believe that you are greater than anything I am facing, you are greater than the pain I am feeling and I truly can do all things with you by my side strengthening me. When others are throwing hatred and lies at me, things that have no other intent but to hurt me, help me to remember that you alone have the strength I need to stand strong. Help me to see that emotions lie, it doesn’t matter what I am feeling, you alone are truth. My God, you truly are an awesome God, you are an all-weather God. Thank you for helping me hold on. The research has been done, the decision has been made, now what? 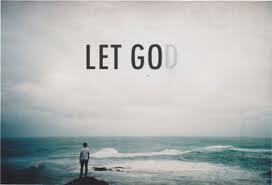 I begin the process of letting go, or perhaps the correct term is, Let Go and Let God. It’s not like things are not going to go God’s way anyway, but to Let go and let God is to make things easier for me along the way. 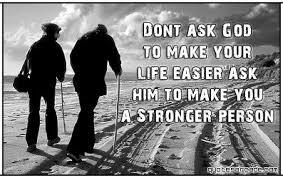 Maybe to” let go and let God” is God’s way of strengthening his bond with me? To” let go and let God “requires participation from me despite what it sounds like. It requires surrender, total reliance on God, trusting God, being still while we let God fight our fights, and it requires obedience. I rest in the fact that letting go and letting God is an act of humility and is actually the path to authentic freedom. Letting go is to admit to my Father that I am not in control, He is. Letting God is choosing to trust God to do what He says He will. Meditating on the phrase “Let Go and Let God” it seems that this should be more than a one-time quest, it should be a way of life.